It’s Sale Saturday! There has been more that has been added to Sale-A-Bration in the last few days. Some of the products are now from the regular catalog. This is being called the third release. So there is the first, second, and third release. And don’t forget about the coordinating products. 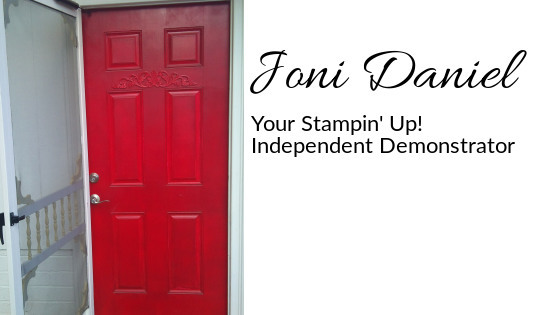 The easiest way to find everything is to go to my webpage, http://www.jonidaniel.stampinup.net, and click on shop and then sale-a-bration. Are you feeling a little overwhelmed? It’s okay. It’s our biggest sale of the year! It’s Sale Saturday! Do you know there is a second release for Sale-A-Bration that is now live? I have mailed out all the brochures and if you don’t have yours by Tuesday (maybe Wednesday) at the latest contact me! If you would like to order please use host code 73Y6A9D3 to help Cherryl. This order will be closing out on March 1 at noon. If you prefer to order in person please contact me. Here’s the link to see what’s available…https://www.stampinup.com/ecweb/category/10100/sale-a-bration. If that’s not enough, be watching in the next couple of weeks as I will have more information on some brand new coordinating products that will be available for sale on March 1. Are you bored with what we have to offer? It’s Sale Saturday! Are you bored with what we have to offer for Sale-A-Bration? Do you wish some of our stamps that are offered have die cuts? You’re in luck! In the second release for Sale-A-Bration there are many coordinating products for the first release. So here’s how to get a copy of this new brochure…if you have ordered or are hosting with me during Sale-A-Bration you are already on the list. I will coordinate with you for delivery. If you have not ordered with me since January 2019 then please contact me.